I’ve always loved liver. Organ meats, heart, kidneys, were all part of our family diet, I liked them so much I didnt realize they are the cheapest meat buys. My favorite restaurant has a recipe called “liver with drunken onions” and although I couldn’t possibly get the recipe for theirs, I like how mine turned out. This is best served on a bed of fresh mashed potatoes, like the classic liver and onions on mash. 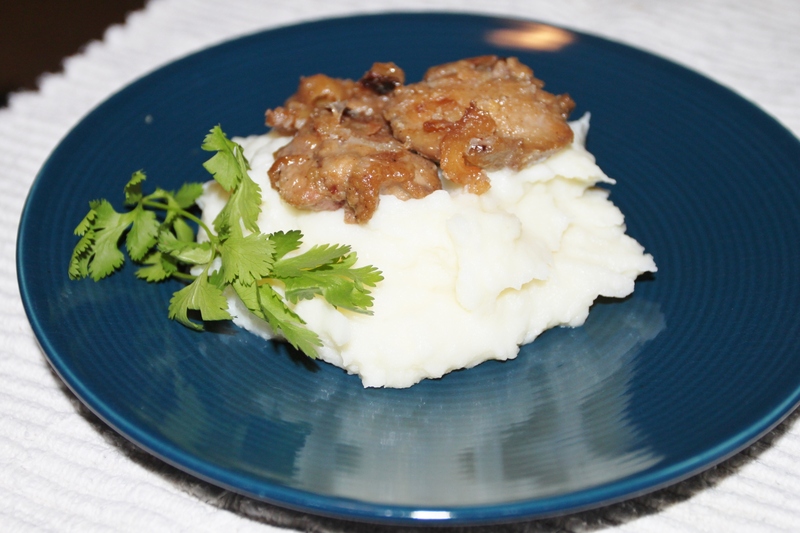 Except for the mashed potatoes which the labor intensive part is peeling, this dish takes about 18 minutes. As I shared in ‘about me’, my mother was the beginning of my inspiration for learning to cook as I would sit on her kitchen counter and she would teach me the basics. I havent posted for a long time due to caring for my mother in a recent hospitalization and now her being in hospice care. Its amazing how the things we enjoy as our hobbies and our work takes the side arena when the life of a dearest loved one is in the balance. Because of this season I havent done much cooking but have visited a few Dallas area restaurants which I may post reviews of and insights to in future posts. But for my own mental health during this time I thought I would share with you a simple food that tastes great and now is internationally known – Ramen. This doesnt mean the college student staple of microwaveable ramen in a styrofoam cup stuff, but a simple, quick recipe that doesnt have the msg or other preservative chemicals and flavoring. Place water in pot, add soy sauce, ginger, garlic, soup powder and sesame oil in pot. Bring to boil until ingredients are well blended. Now in a seperate pot bring 3 cups of water to boil, add ramen noodles and cook a few minutes in salted boiling water until done. 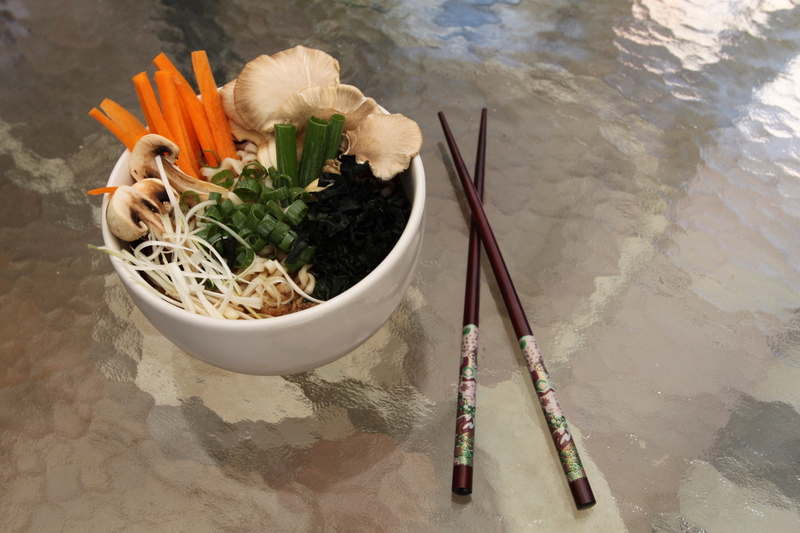 Take broth and put in a deep soup bowl, now add a portion of ramen noodles. Dress your soup with toppings. I have used onion, hard boiled egg, imitation crab meat and raw mushrooms. Combinations of dressings are endless. The traditional cured fish pink and white cookie, narutomaki, that is often pictured in ramen is not available here in Israel :-(. 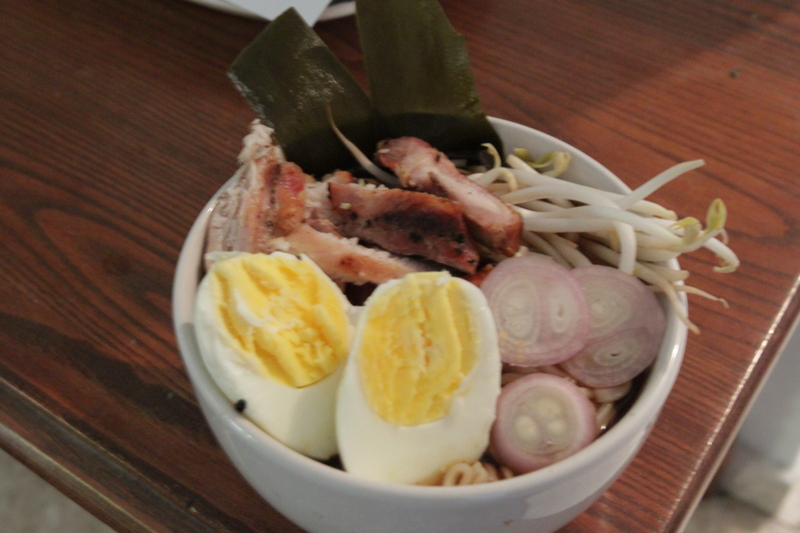 You can use leftover chicken, spring onions, whatever you think will add flavor and texture to your bowl of Ramen. Try chopsticks and enjoy! Remember to slurp for an authentic Japanese Ramen experience! 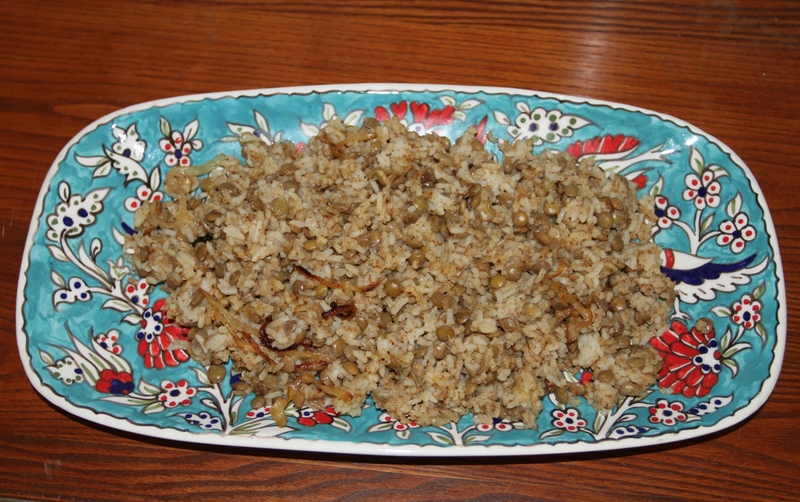 Mujadara is a delicious, simple and inexpensive favorite, the most common side dish accompanying meat entrees in the region. It is served up in most “al ha-esh” (on the grill) restaurants automatically with your skewered meat or kebabs. I’ve heard of many families that serve it as a low-cost meatless meal and is often noted as a childhood comfort food like mac and cheese is in the US. Everyone seems to have their own way of making it even though its three basic components are rice, lentils and onion. Of course, I like my own version the best which is more like a fried rice in style. Soak the lentils for a number of hours or overnight and later cook seperately, simmering until soft. Set aside. I cook the rice according to directions and also set aside sometime before I’m ready to serve the meal. Cut the onion into strips and carmelize the yellow onion by frying in a non-stick fry pan with 1/2 tsp. sugar and salt until onion browns even to crispy edges. In a large frying pan or dutch oven cover bottom with olive oil and add cumin and allspice to bring out flavor but not burn spices. Add all 3 main ingredients together, rice, cooked lentils and onion and stir fry like fried rice. Voila, done! Serves as a side for a large group of eight or more. I ask myself the reverse of that question when I tackle traditionally sephardic dishes. 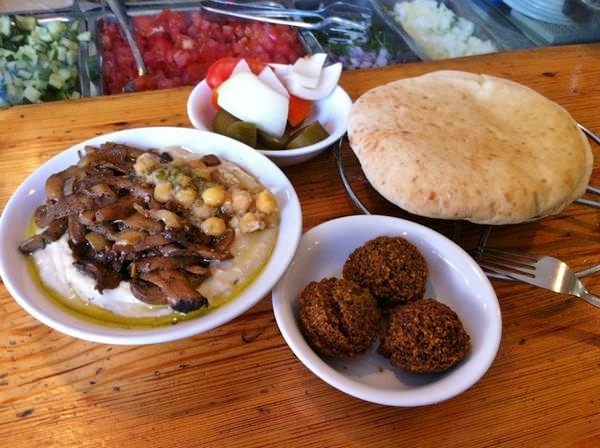 There is a definite melting pot of cuisines here, but certain dishes seem doomed to the reputation of their countries of origin and that only those with that genetic link can really make it right; like Kube, malawah, and couscous, kishke to mention a few. But after all, doesn’t Rick Bayless create and write about the most awesome and authentic Mexican cuisine? 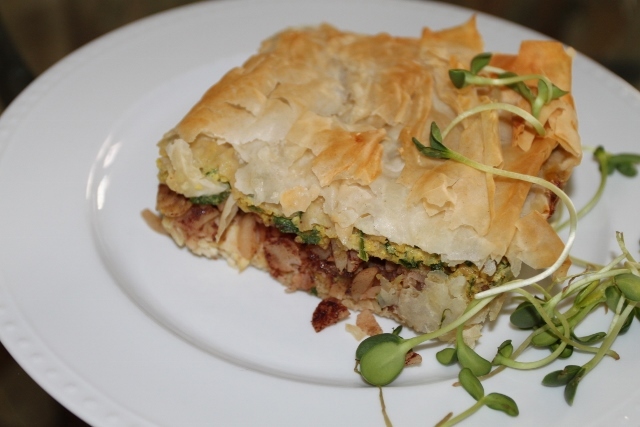 I know there must be multitudes of recipes out there for this basic North African staple, but I had a Moroccan and two Tunisian origin friends state mine was as good as their mothers and I make it more simply, a version for chef’s without much time. In fact a Moroccan friend of mine marvelled that I used the instant couscous product when she went through the hours long process of the traditionally made semolina pasta. When she tried it she declared she was never going back again! (btw no comparison to instant rice which we all know is barely a food). Fry onion in Olive oil in large dutch oven. As onion becomes clear add garlic and dry spices. Fry quickly not allowing spices to burn and become bitter. Mix soup stock and tomato paste with a whisk and pour over onion-spice mixture. 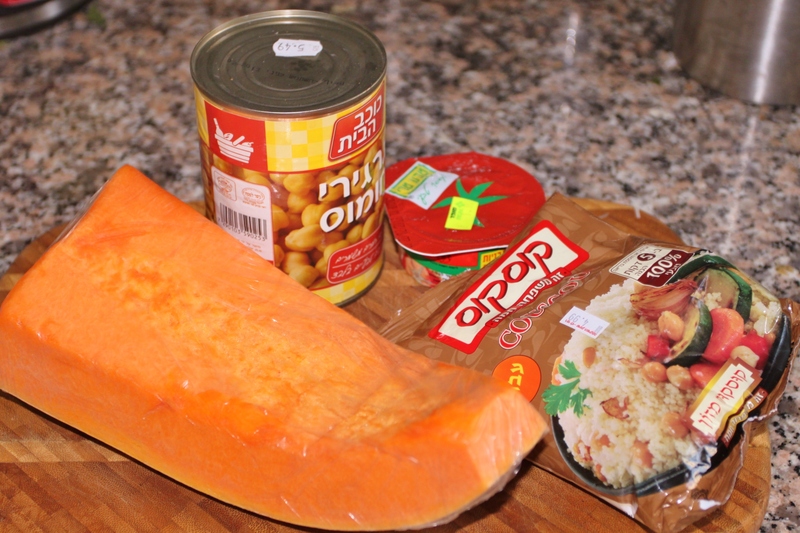 Add raw pumpkin, chicken pieces and whole can of garbanzo beans including liquid (will aid as sauce thickener). Prepare Couscous: 1 cup of quick couscous mix prepared according to packaged directions. 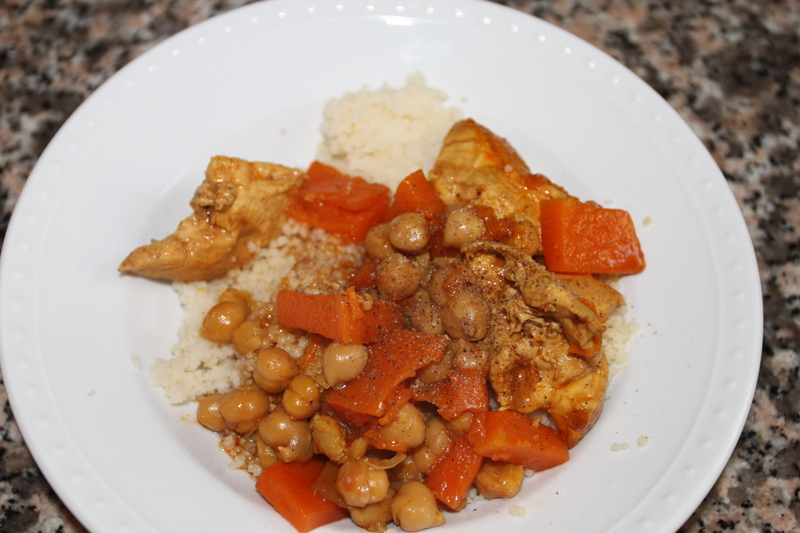 Serve over couscous when meat is falling off bones. Pumpkin should be soft. 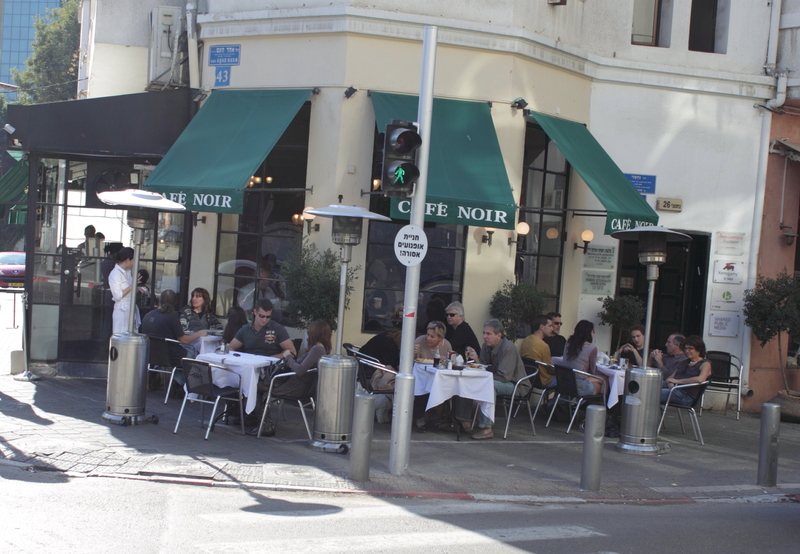 I discovered Cafe Noir about 10 years ago when I was managing a property in the Rothschild Blvd. area of Tel Aviv. In search of a good spot for lunch I stumbled upon what a lawyer friend of mine called, “A Tel Aviv Institution”. 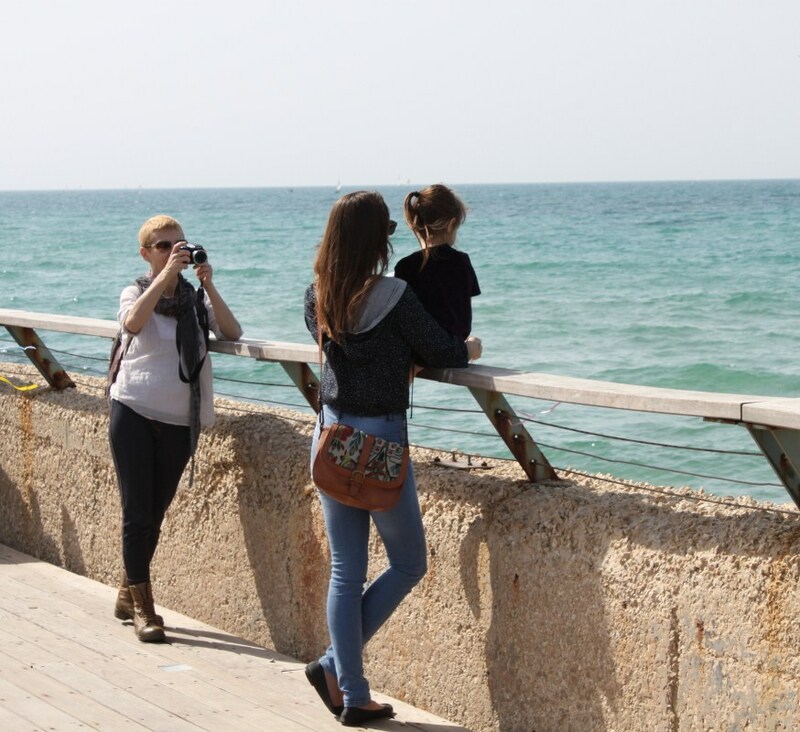 In their current website, they date the cafe ‘since 1997’ but it seems like it has a longer history having been built in the famous “pre-eclectic” period, the Nahmani region of Tel Aviv built in the 1930’s. The pre-eclectic period architecture of elaborate facades and intimate balconies that resemble Paris and Prague mix with Bauhaus buildings of the same period. The interior of the cafe feels like they took the ornate wooden counter bar area of an old drugstore fountain and decorated the rest along that theme. Seating outside is populated well on nice days in the mild Tel Aviv winters, inside the wrap-around enclosed balcony is popular for air-conditioning in the hot, humid summers there. 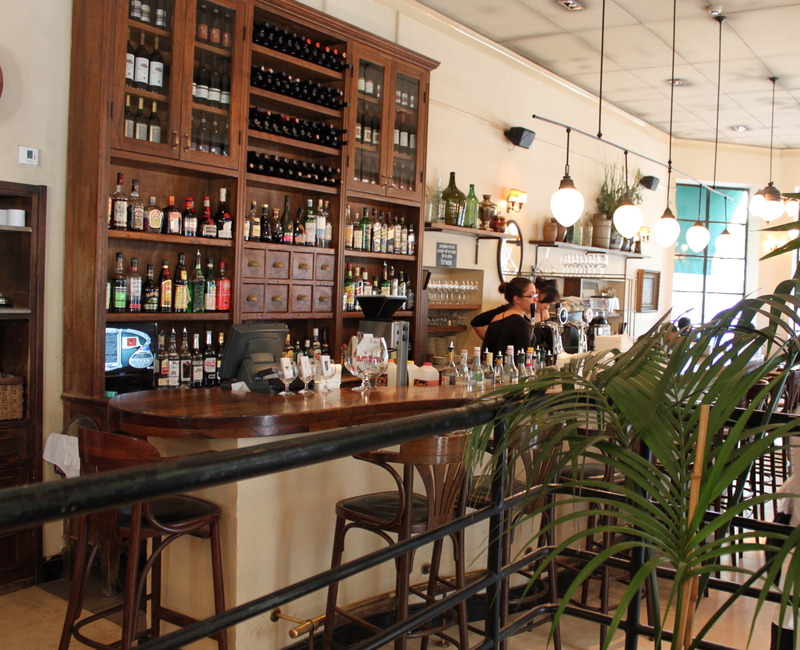 The atmosphere is old European with a modern, busy bistro feel. 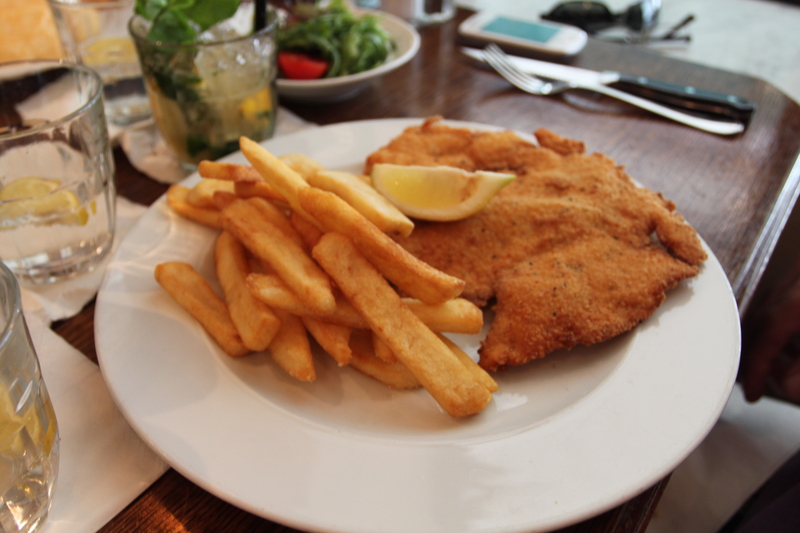 I havent had a food or drink order there that disappointed me, but we come for the shnitzel which is big enough for two to split with potatoes and side salad or plenty for one hungry person. The specials change regularly and the restaurant is most definitely not kosher. Calling Cafe Noir for a reservation reveals the clue of the famous shnitzel. The phone menu starts: 1. “for reservations dial 1″, 2.”for shnitzel delivery dial 2”. One of the secrets of great shnitzel or any fried chicken, in my opinion, is not letting the oil get to hot to darken the breading but hot enough to not soak into the chicken. This success is learned best through experience. The Cafe Noir shnitzel is perfection, paper thin and done exactly right. Chef’s recommendation: Place baking paper over chicken breasts and pound with mallet until 3mm-thick. was hunting the net for a ratatouille recipe, nothing moved me, scrapped it and Voila! Found this beautiful one with the elements I wanted in a blog I already follow. Watching Anthony Bourdain intensely rave about a food offered that also matches my personal cravings is a near to irresistible temptation. 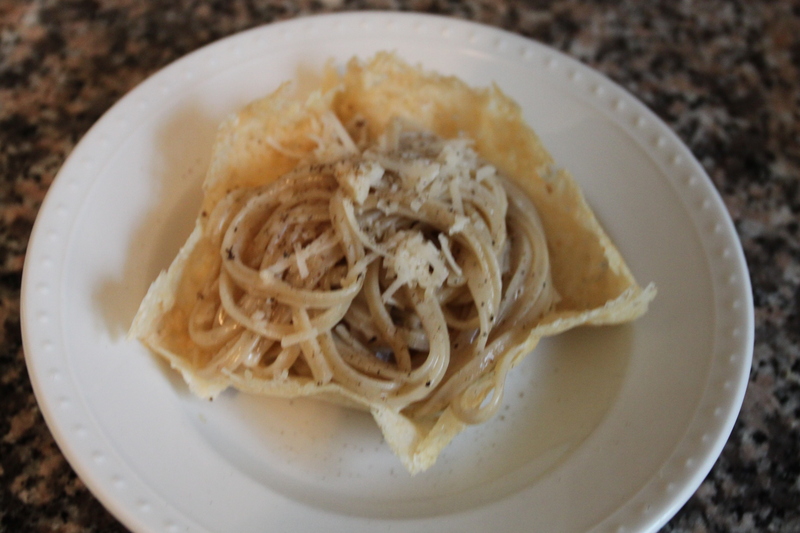 After rewatching one of my favorite episodes of No Reservations, the Felliniesque black and white episode on Roman cuisine, Season 6 Episode 20, my all-time preferred food show for pure edgy foodie entertainment, I was captured by the making of the first dish featured, Cacio e Pepe (cheese and pepper). Obviously from viewing, Cheese and pepper is a tagliatelle or spaghetti type pasta with the simplest of sauces, cheese, butter and pepper.